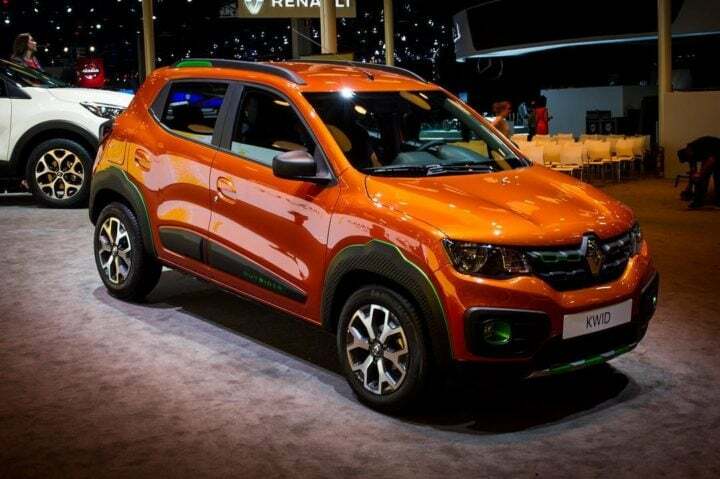 Renault has unveiled the Kwid Outsider concept at the ongoing Sao Paulo Auto Show. 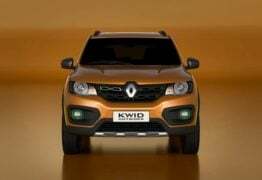 The model serves as a preview to the Renault Kwid that will soon go on sale in Brazil. 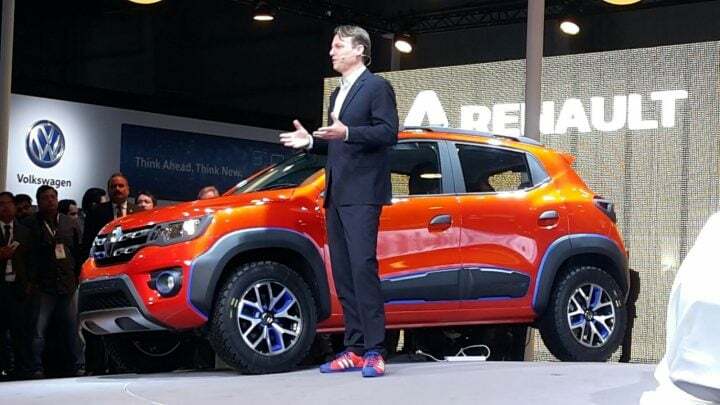 While the Kwid already features a crossover-like exterior, in the case of the Renault Kwid Outsider Concept designers have taken things a step forward. It gets beefier wheel arches with body cladding, fatter tyres and more. The Kwid Outsider seen here closely resembles the Kwid Climber concept that was on display at the 2016 Auto Expo in Greater Noida. 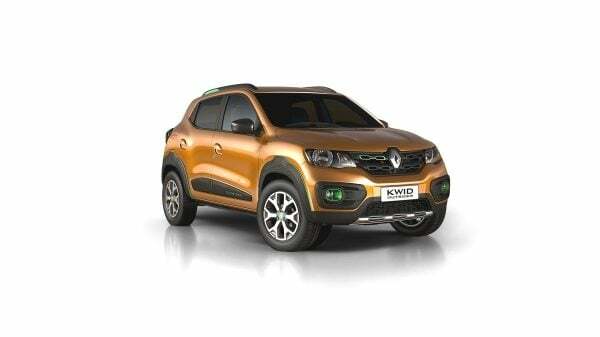 Here are some more details on the Renault Kwid Outsider Concept from Brazil. The interiors get certain changes as well. For starters, an analogue unit replaces the digital speedo as seen in the Indian model. The switch for the door locks and power windows are located right under the touchscreen infotainment system. Instead of a dual glovebox setup, the Kwid Outsider gets a passenger airbag in place of the upper glovebox. Also, the interiors feature orange highlights to match the exterior paint shade. These new interior features, apart from the orange highlights, will find their way into the Brazil-spec Renault Kwid. In terms of features, the concept includes a rear wash wipe, rear defogger and electrically adjustable wing mirrors. These features could make it to the production spec Kwid when it is launched in Brazil. The Brazil-spec Kwid will get the 999cc petrol engine option only. While specs have not been revealed officially, they are likely to be close to the India-spec model. It will get a 5-speed manual transmission initially. 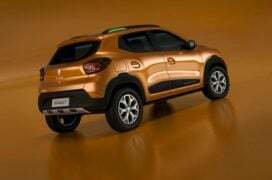 Overall, the Kwid for Brazil, as previewed by the Renault Kwid Outsider Concept, appears to be a more premium offering. It gets a longer list of features and scores higher on the safety front. Also, it doesn’t feel as built to a cost as the Indian model. Stay tuned to Car Blog India for more updates on the Renault Kwid Outsider Concept. 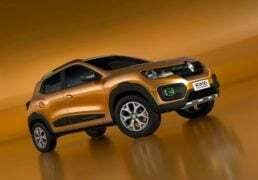 Would like to see the Renault Kwid Outsider Concept on sale in India? Do let us know via the comments section below.